The Electric Cinema has taken on many different incarnations in the 104 years it has been open and very little of the original building still exists. However, the Electric is part of the fabric of Birmingham, an anarchistic cocktail of culture, art and 20th century history. Cinema in the UK arguably became the most important means of mass entertainment in the 20th century, a vehicle for culture, education and propaganda. As an affordable medium, it brought the masses together. Changes in viewing habits and technological advances can be paralleled with changes in society through that time and The Electric Cinema tells a story of society through the years with remnants of years gone by that can still be seen. The biggest transformation of the building was in the 1930s, when the building had an Art Deco makeover designed by Cecil Filmore, a style popularised by Birmingham architect Harry Weedon with his early Odeon cinema designs. The Electric opened in 1909, beating its Notting Hill namesake to the punch by two months, making it the oldest working cinema in the UK. 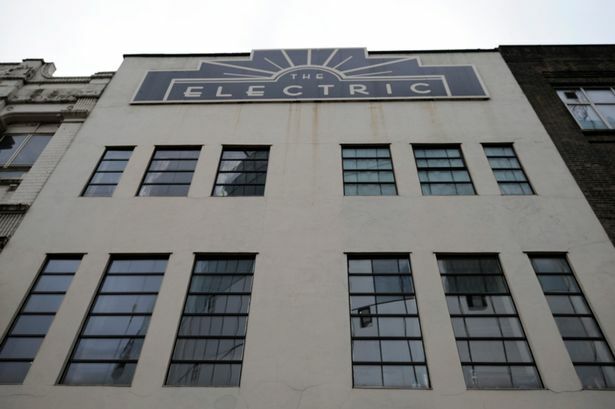 Through the years it underwent many name-changes such as The Select, Tatler, Classic, The Tivoli and it wasn’t until 1993 that the name was reverted back to Electric. The first films shown were silent with piano backing. Audiences were wowed by the moving images, bearing in mind they were shown at a time when most people didn’t have electricity in their homes. In the 30s it became a news theatre, where people would stop by to catch up on current affairs. Cartoons also became popular during the Golden Age of Animation, with film makers such as Walt Disney and Warner Brothers appealing to the masses. With the introduction of television, popularity lessened and the 1970s, to fight off dwindling numbers, the cinema began showing adult films. In 1993 the cinema was taken over and became an arthouse with a terrifying artwork known as Thatcher’s Children installed in the windows, which did little to help shed the seedy reputation of previous years. In 2004 the cinema was saved by local entrepreneur Tom Lawes, who pumped £250,000 into a re-fit and renovation with an aspiration to reinstate some of the art deco character to the building. Today The Electric holds on tightly to its past and as well as retaining many original features, like the old ticket machine, it is the only remaining cinema in Birmingham to project 35mm films. The cramped projection room is a symbolic scene of old-meets-new. Alongside a large state of the art digital projector stands a colossal vintage projection machine in immaculate condition. This was once operated by steady handed projectionists with years of training and the walls are inked with notes on how to operate the machine, ensuring the art is not lost but is passed to the next generation of film enthusiasts. In the basement piles of old film reels are stacked along one wall. A few carry titles like ‘Wife Swappers’, a reminder of the sleaze cinema of the 70’s, a past best left in the cobwebbed corners of the basement. Alongside a collection of movie props and memorabilia, the basement also houses a state of the art dubbing theatre and recording studio, used for film, TV and music. While for years The Electric has sat quietly tucked away in the shadows of Station Street, the bold urban planning move to build a new entrance to New Street Station from Hill Street, will throw new light on the area. The effects of regeneration are already being felt with new bars and cafés springing up along John Bright Street. Let’s hope the future is bright for the buildings that have shaped our city and long may they continue to do so.